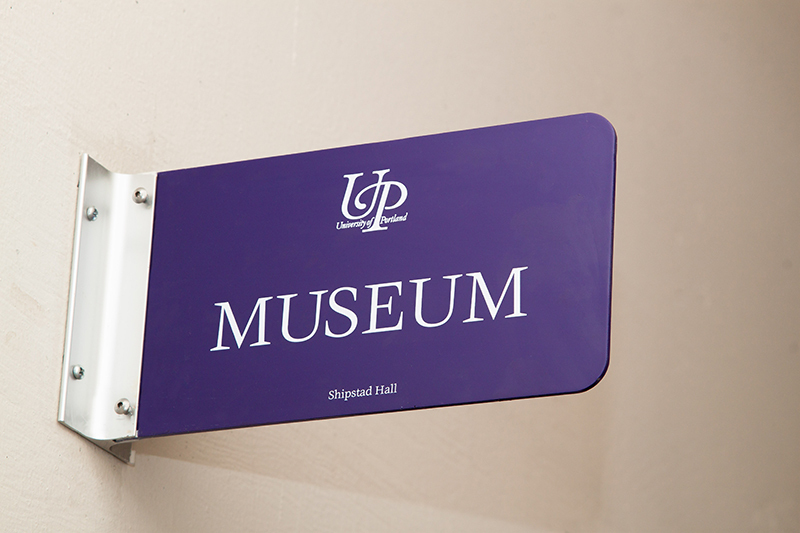 Selection of UP historical memorabilia from the University Museum. 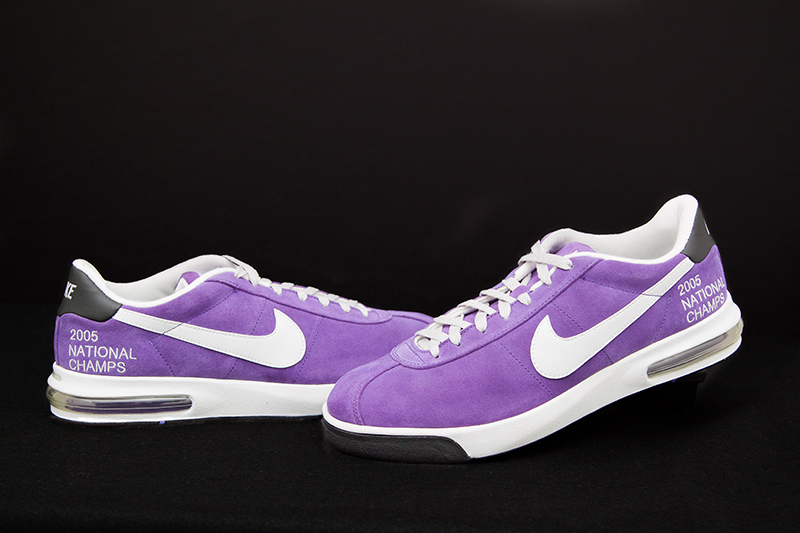 Gift from Nike, Inc. to the University of Portland Women’s soccer team, winners of the 2005 National Soccer Championship. 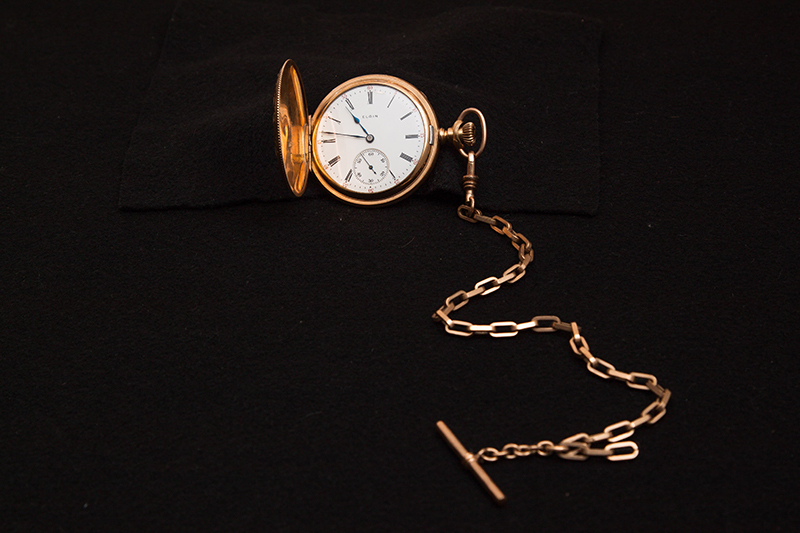 Gold pocket watch inscribed “James Conners from Sister Winnie 12-25-04” which was found many years later in West (now Waldschmidt) Hall, 1904. 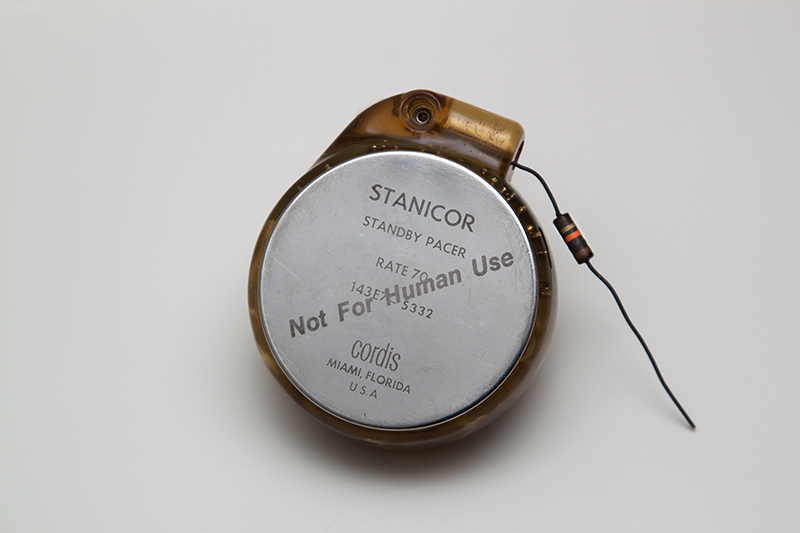 Stanicor Pacemaker Standby Pacer Rate 70, c1971. 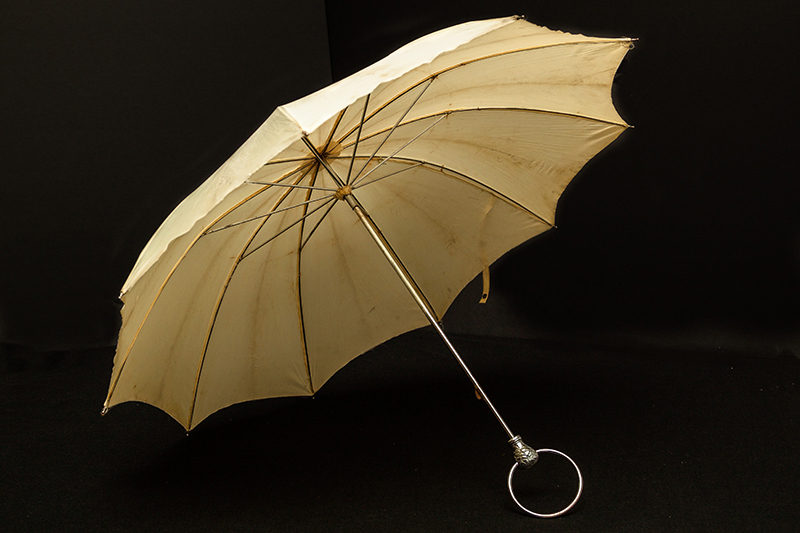 Used in physics classes designed for nursing students. 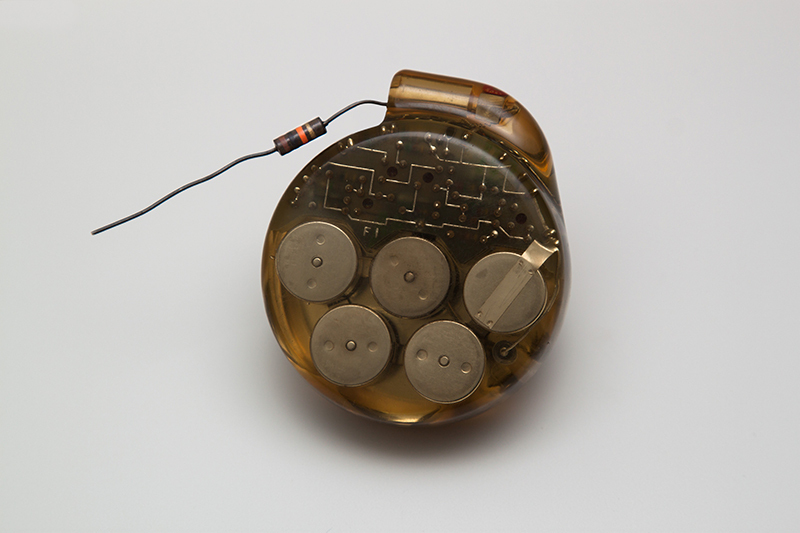 Reverse side of the Stanicor Pacemaker Standby Pacer Rate 70, c1971. 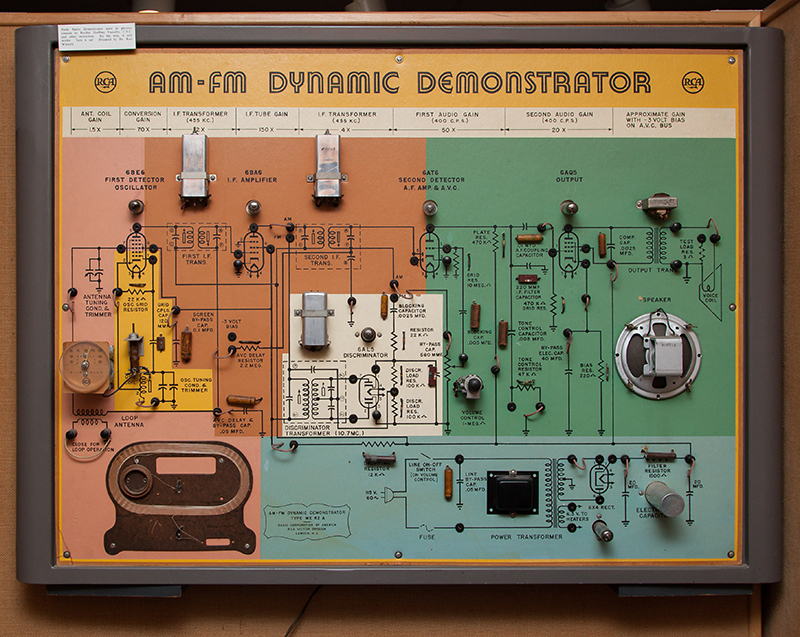 Used in physics classes designed for nursing students. 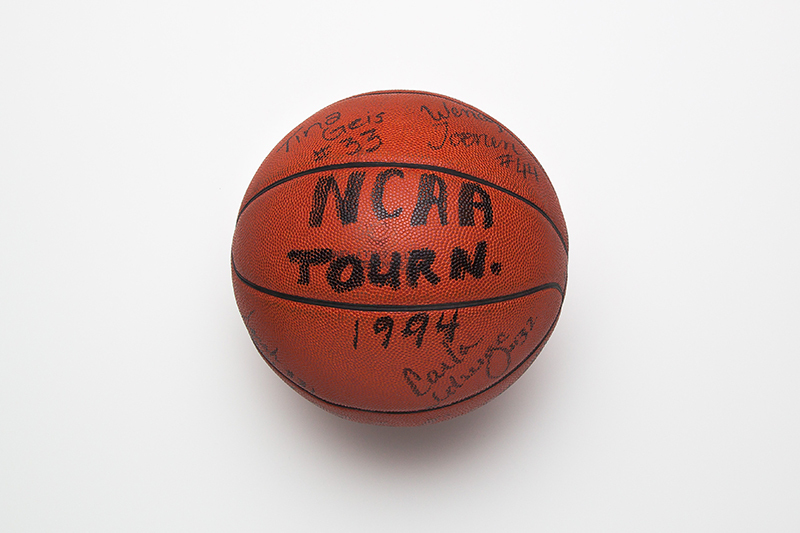 Basketball signed by University of Portland Women’s basketball team after losing to University of Southern California, 77-62, in the NCAA Women’s Mideast Regional Tournament, 2004. 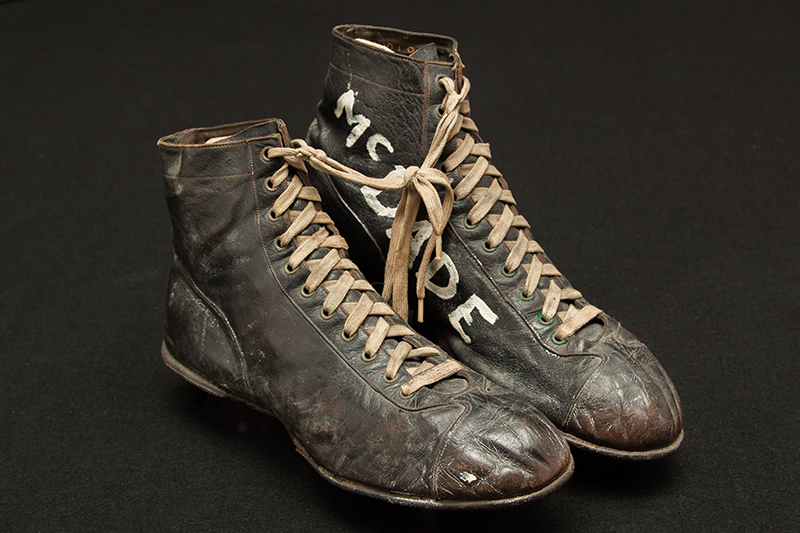 Football shoes worn by Karl McDade ’38, c.1934-1937. 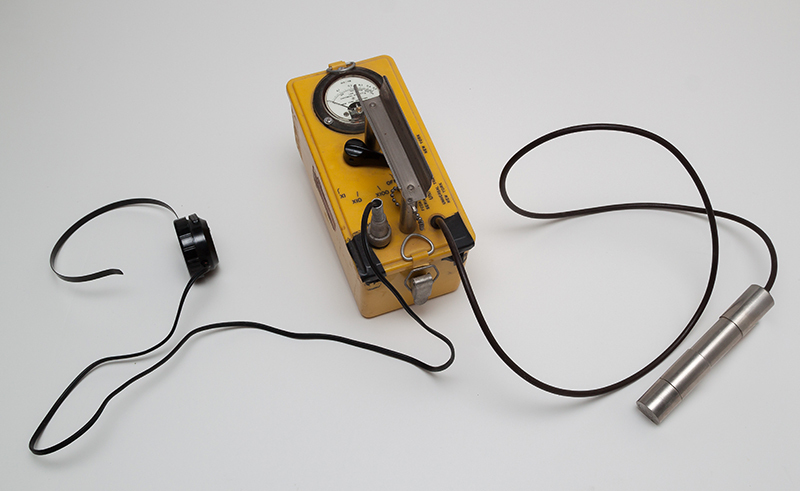 Civil Defense Geiger Counter manufactured in 1957-1958 and used in classes until the early 1980s. 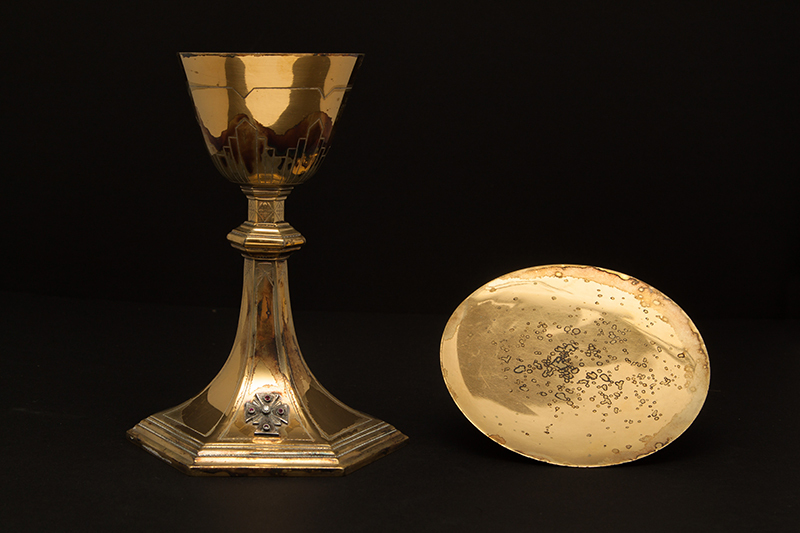 Chalice and Paten given to Rev. 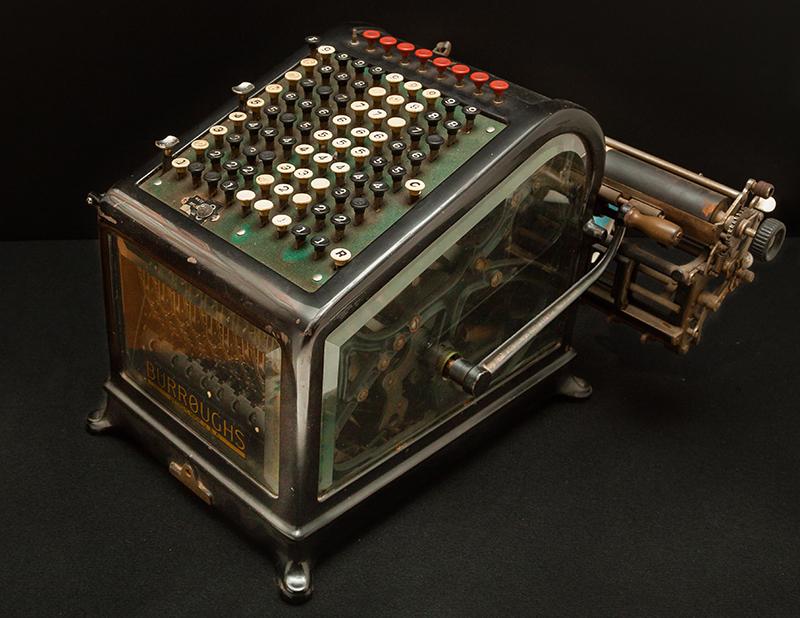 Paul E. Waldschmidt, C.S.C. on his ordination to the priesthood, June 24, 1946. Fr. Waldschmidt came to the University of Portland in 1955 and served as vice president until 1963 when he became University President. His tenure at University of Portland ended in 1978 upon his appointment as Bishop for the Archdiocese of Portland. 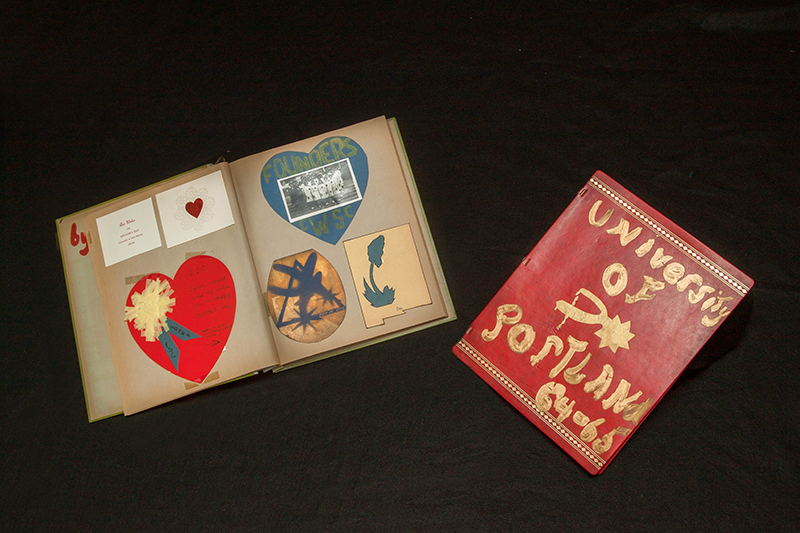 Spurs scrapbooks, 1964-65; 1966-67. 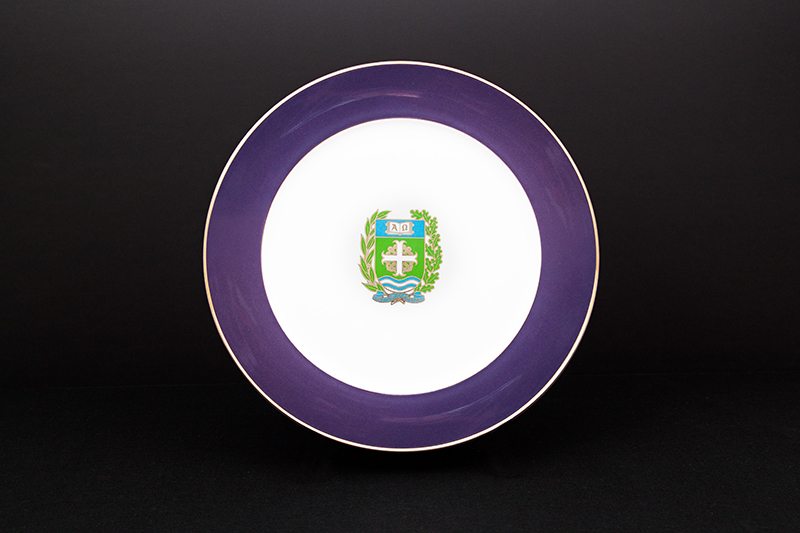 The SPURS (Service, Patriotism, Unity, Responsibility, Sacrifice) were a sophomore service organization at the University of Portland in the 1950s and 1960s. 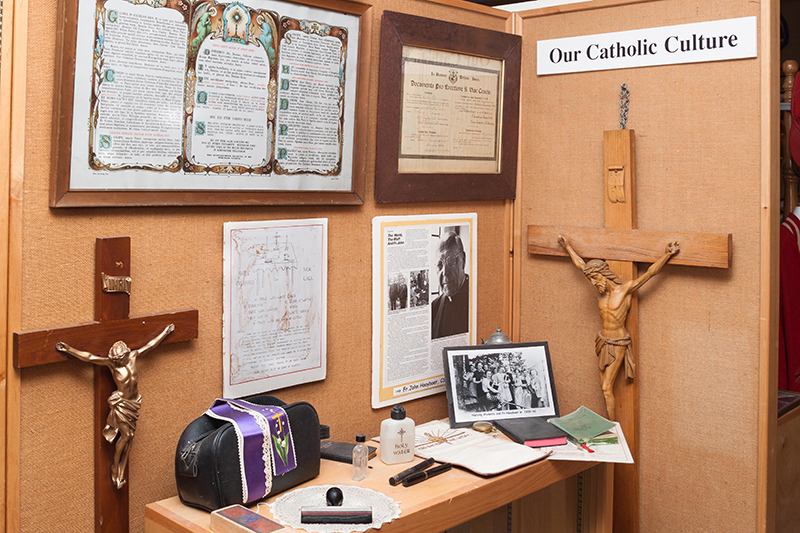 Holy Cross Section in the Museum. 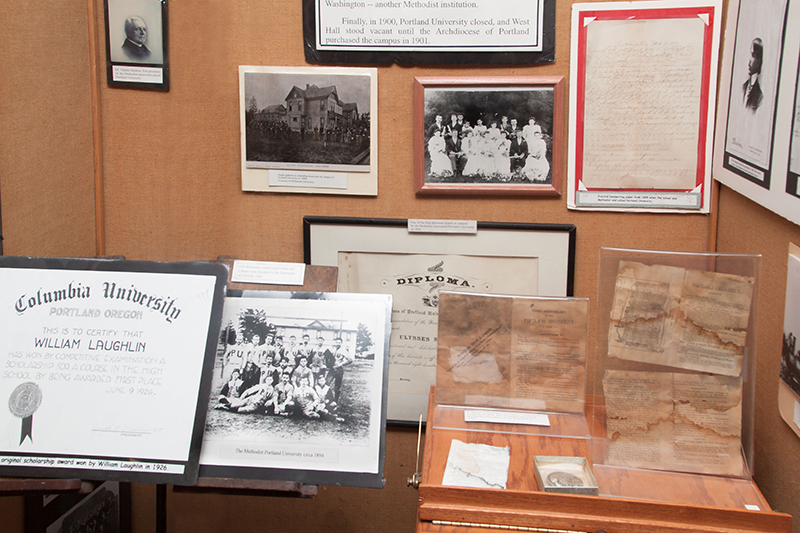 Memorabilia from Portland University, the Methodist owned University which was on the Bluff from 1890-1900 before Archbishop Christie bought the land from them. 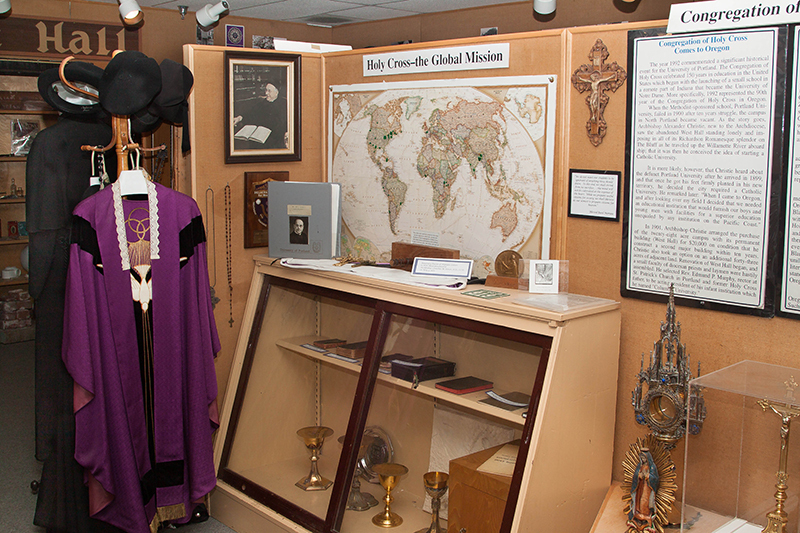 Holy Cross Section of the Museum. 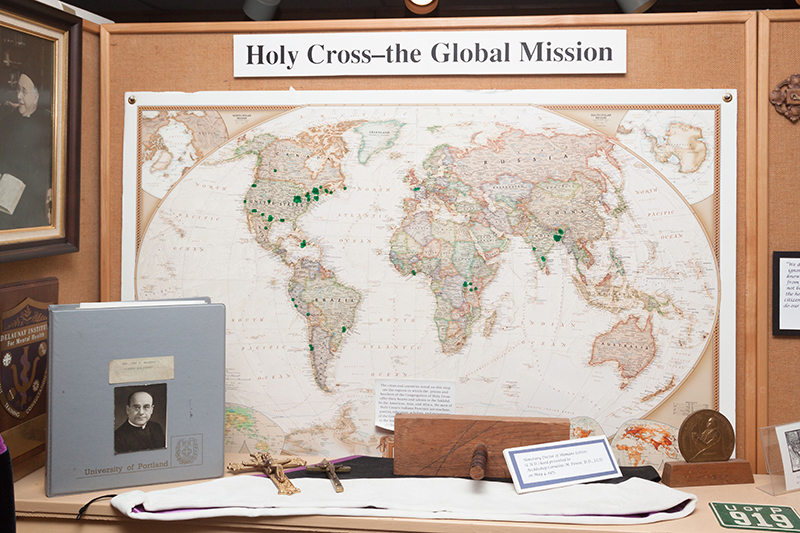 Map marking cities and countries around the world where the priest and brothers of the Congregation of Holy Cross serve. 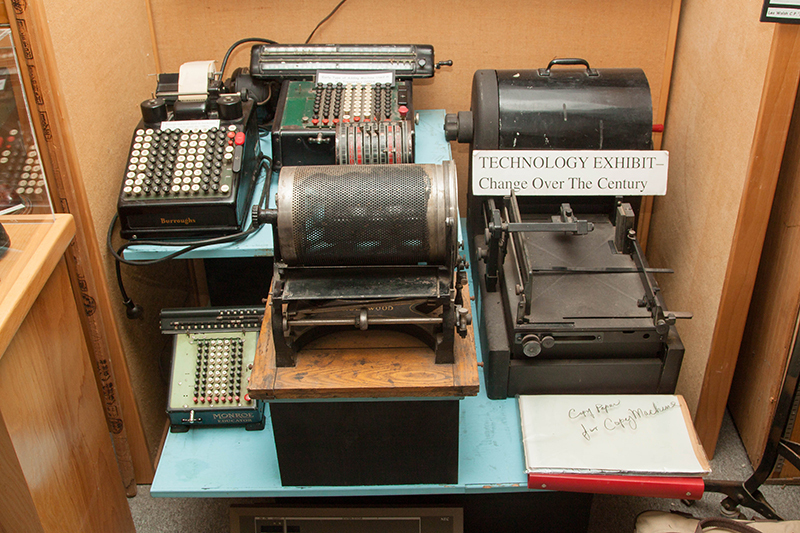 Vintage office equipment used in offices and classes. 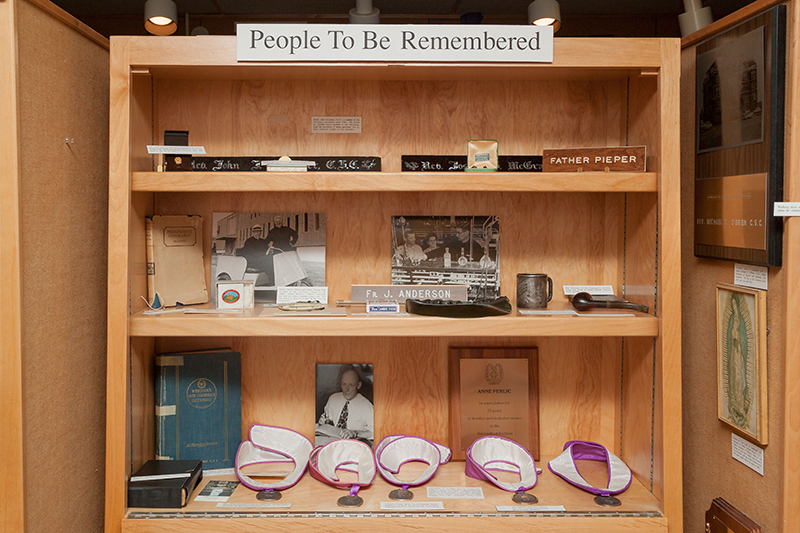 Memorabilia associated with priests, faculty, and staff who served at University of Portland. 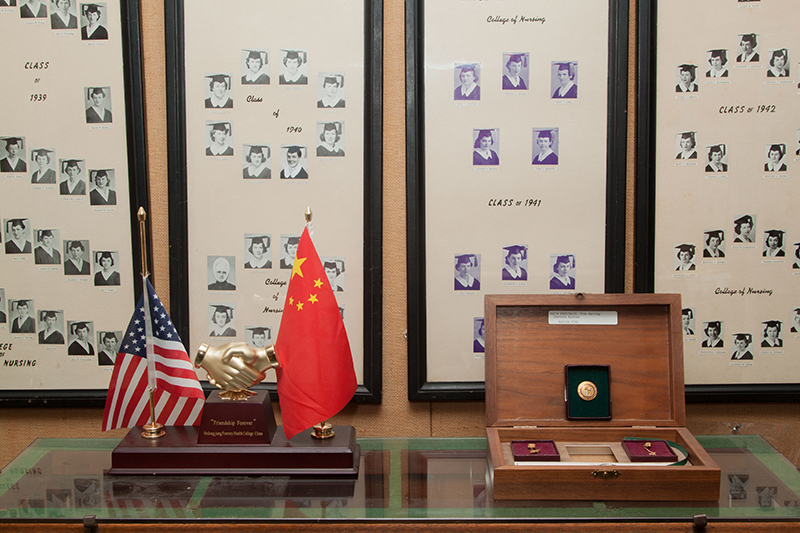 Columbia Preparatory School memorabilia. From 1901-1955, a high school for boys was part of the University’s history. Photos of early nursing graduates dating back to 1938 and nursing pins, c.1997. 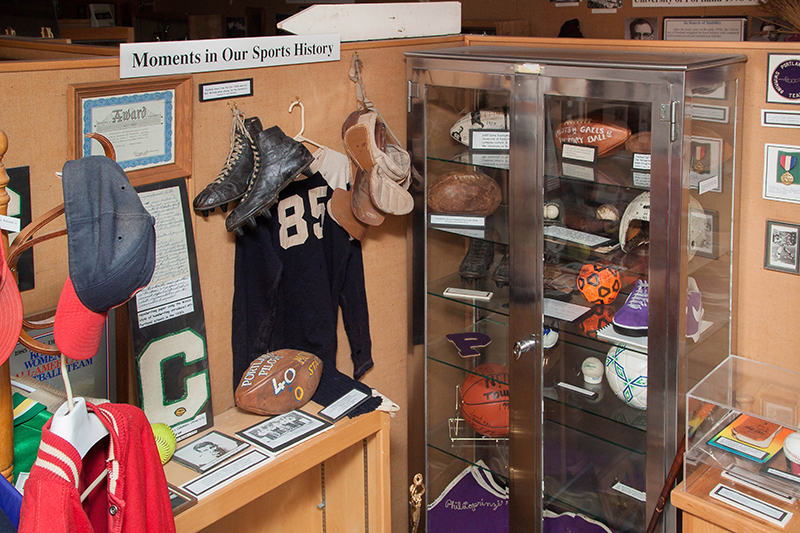 Sports section of the Museum with vintage athletic equipment dating back to the early days of the University. 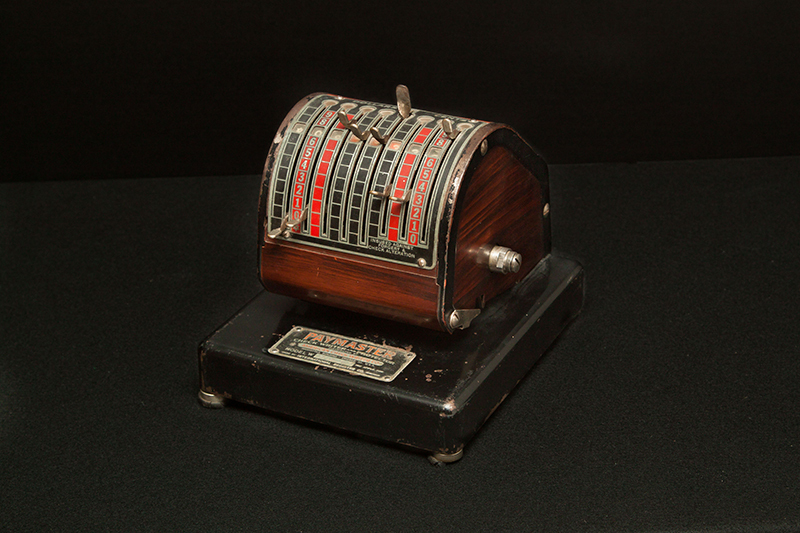 Vintage sports equipment used at Columbia Prep and University of Portland. 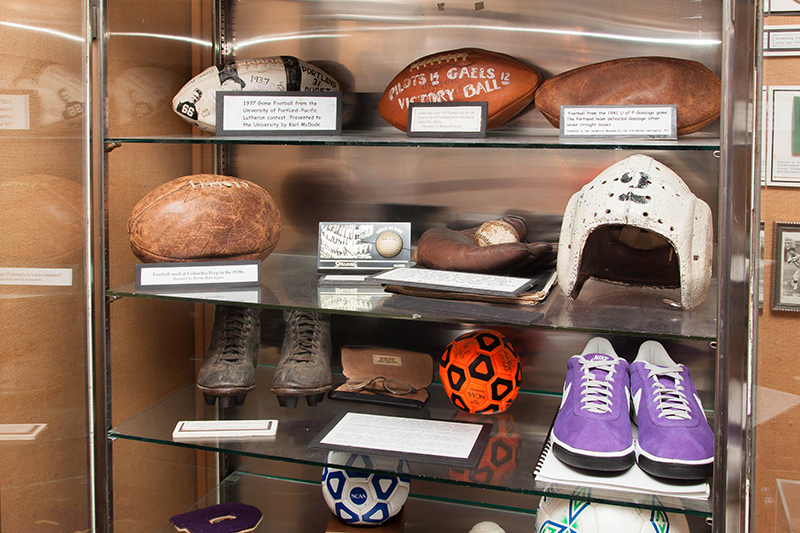 Footballs from the 1930s and 1940s; baseball mitt and ball used by William Grussi, 1908; football shoes worn by Richard Deck, late 1930s; helmet, early 1940s; and glasses worn by Emmett Barrett, late 1930s/early 1940s. 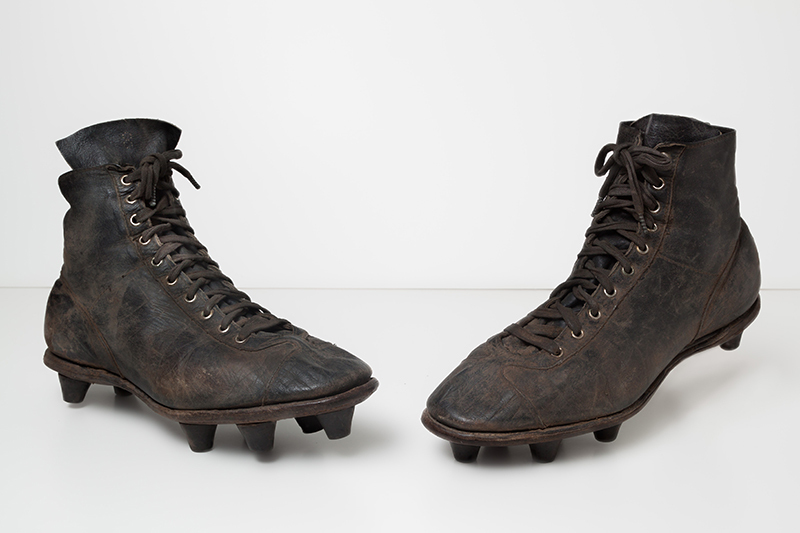 Football shoes worn by Richard Deck,’40 in the late 1930s. 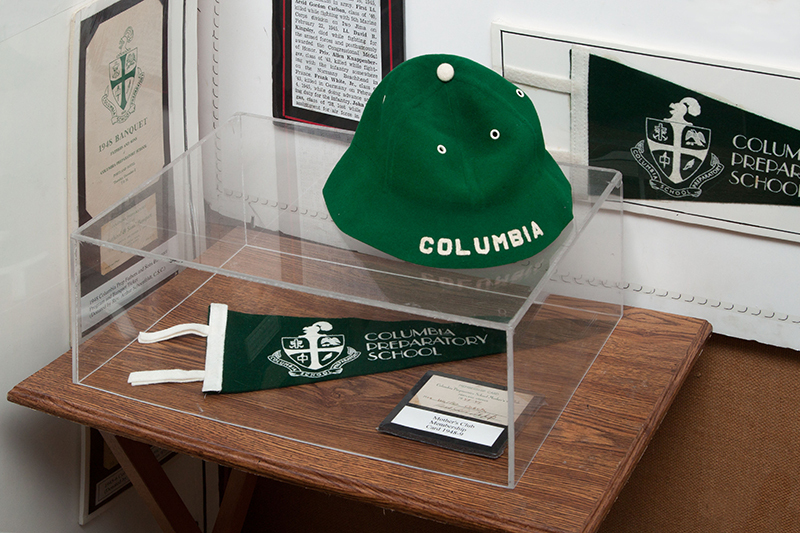 Memorabilia from Columbia Prep school for boys which was part of the University from 1901-1955. U.S. Army Blue Star Service Flag. 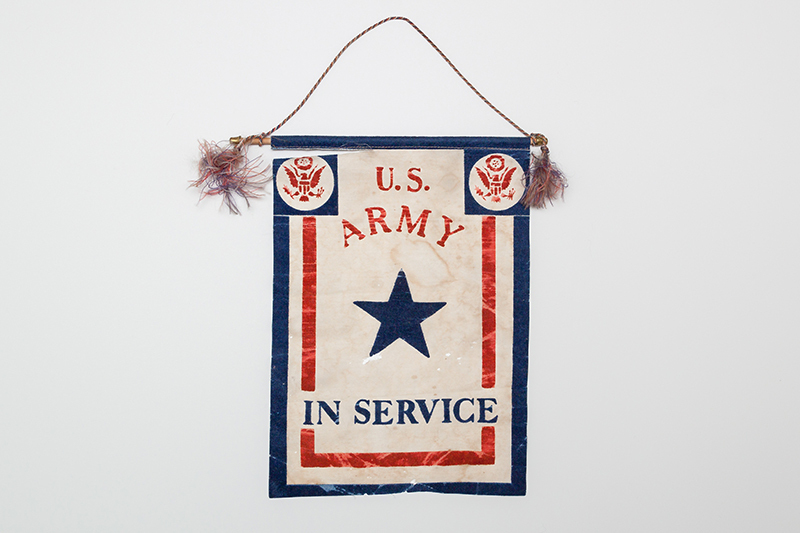 This flag or banner with a blue star would have been displayed by families with one of its members serving in the armed forces during time of war. These banners originated in the First World War and were also used during World War II.